GMO Roundup: As The Tides Turn Away From GMO's, Do We Have Enough non-GMO Conventional Crops To Meet Demand? Sunday ended my Whole30 experience. I was truly surprised at how quickly the 30 days passed. I believe there are a few very important lessons from going through a 30 day cleanse from processed foods, sugar, dairy, alcohol, and grains. Being on the other side, I am always amazed at how much I learn about myself when I take on such eating based challenges. My imagination gave me the pleasure to run wild with all the magnificent things I could do on the last full day of school. I could ride my bike up the canyon or maybe just ride my bike a mile to the trailhead and hike a trail that had been closed all summer due to the fires. Or maybe I could do a little shopping with some Mother's Day cash I received. Yes, that offer from a friend for lunch out would be perfect. There's always errands to run and I am so much more efficient with out kids in tow. Remarkably I have stayed present lately. Today I stayed home and did housework, instead of all those fun things I listed. I organized baskets, filled a large black trash bag with clutter, and put a pork shoulder in the slow cooker. I did laundry and cleaned out the refrigerator. I don't really have an explanation for my desire to be present, maybe Whole30 (speaking of, I'm on Day 27 of 30). Where has Denise gone? GMO Roundup: Chipotle's BRAVE Move! Chipotle Labels GMO's! In October of 2011 I contacted Chipotle to ask them about the corn they use in their stores and namely if it came from BT corn (which is genetically modified corn that the USDA labels as an insecticide, not a food). The response I received from Chipotle was remarkably candid and confirmed my suspicions. I did respect them for being so open with me, but I felt a great deal of let down because Chipotle has this fabulous marketing machine painting them as the sustainable fast food choice. While my initial thought was with their corn, as corn is a crop that is over 90% genetically modified in the United States, I learned other products were also GM that Chipotle served. Tomorrow will mark the end of week 3 of my Whole30 Challenge. I am surprised it has gone by so quickly. I am completely thrilled with the place I have arrived in just three short weeks. I have found there is an initial knee jerk reaction when discussing food choices with people and my opportunity for discussion is limited because of that knee jerk reaction. Food is linked to lots of emotions and holding onto, which I very easily relate to. Right now I am in the WOW THIS IS AMAZING LET'S TALK ABOUT FOOD stage of Whole30 and I love when I find others who want to openly talk about how they eat. So what have I been eating? Fresh food is the simplest answer. If it comes in a package (other than say, berries) I'm not eating it. Packaged and processed foods haven't touched my lips in 20 days. The Alarming Truths About GMO video is a part of the Label It Washington Proposition I-522 which is going to vote in November 2013! I personally enjoy how many of the pro-GMO bullet points are directly addressed and debunked. This is the first in a weekly post series summarizing and linking through to articles I read on GMO crops and labeling initiatives happening around the country! 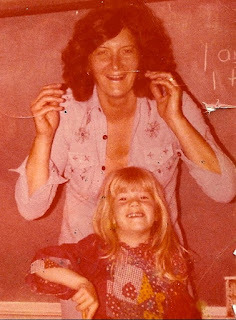 Mother's Day always seems to pry open the floodgates into the memories I keep tucked away from my childhood. My mother gave birth to 3 boys in 4 years and I came along much later, when the youngest of my brothers was five and a half years old. In the majority of my childhood memories, I find myself by my mother's side. My brothers were school age when I was a baby and as the reel plays over and over in my mind, I am always my mother's sidekick. Sometimes the ball starts rolling with a pair of jeans that don't easily button. My mind quickly reasons that they must have accidentally been placed in the dryer, of course shrinking them a bit. Truthfully the dryer excuse doesn't quite answer why my shirts, heck even my underwear, aren't quite fitting the same either. I go through weeks of mental torture, avoiding mirrors, wearing leggings and dresses, or the Boulder staple stretchy yoga pants. I am well versed in the typical avoid, avoid, avoid behaviors until one day, I pulled the scale out from under my bed. I dropped all of my clothes to the floor and stepped on with my eyes closed. My right eye opened first, peaking at the number just above the tips of my toes. Back in March I was contacted by an ad agency that works with Nintendo. What felt like moments later, my entire family was on a conference call with the creative folks behind an ad campaign they had in mind for the Wii U. A few days later I received an email asking us if we wanted to fly out to Seattle to shoot a commercial for Nintendo. We happily agreed. Our entire family was flown to Seattle and we spent a day filming and getting a red carpet tour of Nintendo of North America's headquarters. To say I was giddy about this experience would be an understatement. I've always been a Nintendo fan girl and it all started when I was 12 years old. If someone told me decades later I would be standing in Nintendo, as a special guest, to film a commercial I probably would have laughed off the notion!